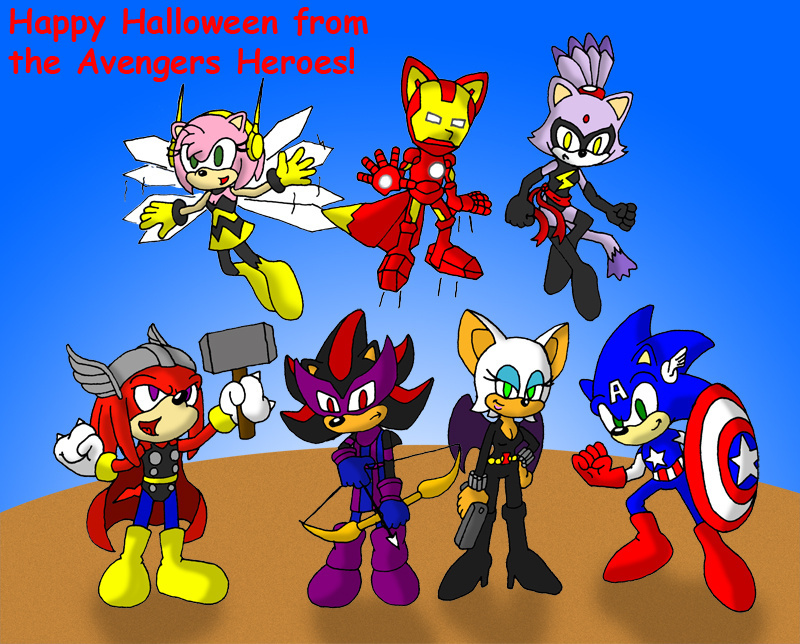 So for those not in the know, Amy is Wasp, Tails is Iron Man, Blaze is Miss Marvel, Knuckles is Thor, Shadow is Hawkeye, Rouge is Black Widow (and looks almost exactly like she did as Catwoman last year -_-) and Sonic is Captain America. Awesome! You should see the costumes I chose for Sonic and the rest of his friends.